Buy OPMS Gold Extract Capsule, the more strong, more of the alkaloids are preserved, making for a better and more potent product. Top-Secret extraction process was developed and designed to protect the integrity of kratom s natural alkaloids. 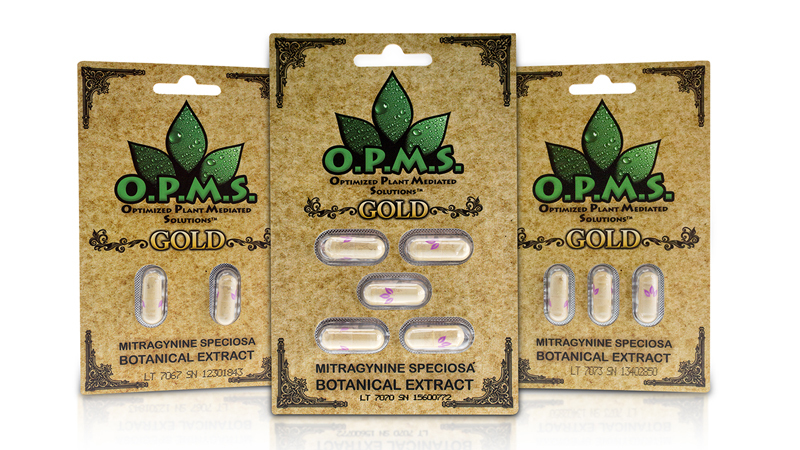 OPMS Gold Kratom Capsules deliver a strong punch of concentrated kratom directly to the user. This product was designed with superior portability and performance in mind. Each pack of two capsules contains organically harvested kratom, then the kratom leaves are cold water extracted to make a more concentrated form per capsule.